In order to boost tourism sector in Bhutan, the National Assembly of Bhutan endorsed entry and exit of regional tourists through the border towns of Samdrup Jongkhar, Gelephu, Samtse, Nanglam and Panbang. 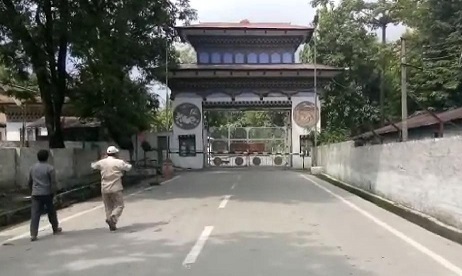 According to a report posted on the official website of the National Assembly of Bhutan on Friday, currently, regional tourists are not allowed to enter from other than Phuentsholing. The decision has been taken after the Member from Dewathang-Gomdar constituency moved a motion to institute special and targeted measures to promote tourism for balanced regional development in the country. The Members of the National Assembly said although tourism has benefited the country in terms of revenue and employment generation, only a handful of Dzongkhags have reaped the benefits. The House agreed on the need to promote tourism and balanced regional development in the country and deliberated in details the advantages and risks of opening up additional entry and exit points for tourists. The House passed the motion to introduce regulations for entry and exit of regional tourists though the border towns of Samdrup Jongkhar, Gelephu, Samtse, Nanglam and Panbang while ensuring security concerns by incorporating conditions that the tourists use Bhutanese vehicles and guides. While the motion was passed with 40 ‘Yes’ votes and 2 ‘No’ votes and 1 abstain out of the 43 Members present and voting. The Government is also likely to consider the entry and exit points through Lhamoizingkha and Jomotshangkha as well. The House also endorsed opening of direct flights between Guwahati to Yongphula, Bumthang and Gelephu. However, the Government will carry out consultations with relevant stakeholders such as the civil aviation authority and the airlines in this regard.